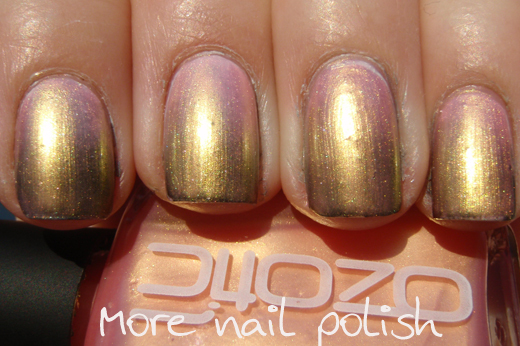 Last week I show you Ozotic 745 duochrome, which has two completely different looks depending on whether you layer it over black or over white. Rebecca wondered what it would look like layered over a black and white gradient, and I thought it would be awesome to try, so here is the result. Kinda weird and interesting at the same time. Unfortunately I did get some bubbling on of few fingers, which made it a bit of a fail, but I was still glad to have tried it out. That's amazing! It really glows! 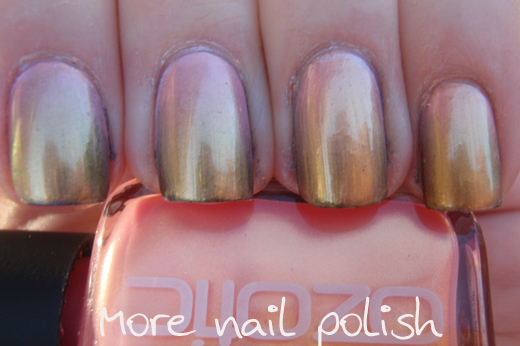 What an interesting effect it had on the color by layering it over a gradient! What a great idea! It looks gorgeous, and very interesting too. 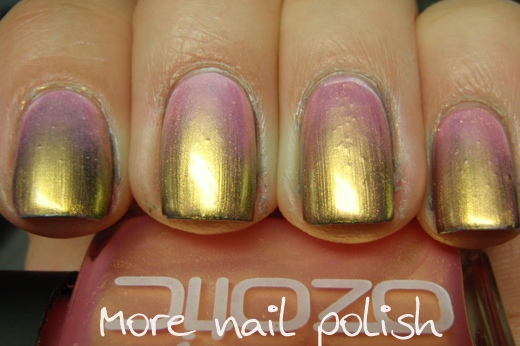 I do find I have bubbling with the Ozotic duo/multichromes, if I apply them too fast and thick. But you know, this looks good enough to ignore the bubbles!